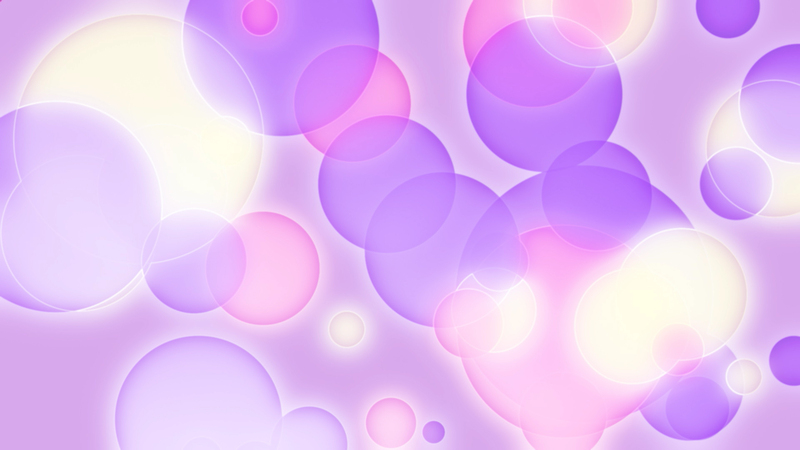 The circle and sphere are basic shapes we see every day. This page will help you understand their basic measurements and how to use them to calculate some of their ‘sizes’. A circle is the set of points in a plane (meaning absolutely flat) that are all an equal distance from a single point. So, if you were standing on a single really small point and you spin on that point, drawing a line around you where every part of that line is the same distance from the center point – you have drawn a perfect circle. In math, to be a circle, it must meet this precise definition of being the complete set of points all the exact same distance from the center. In art, many shapes we draw are considered circles, but if you took out some tools and measured the drawing, very few of us would be able to draw an exact circle. The Diameter (d) is the distance across the circle. Specifically, it must go through the center and must be a straight line. The length of this line, from one edge of the circle, through the center, to the other edge, is the diameter. The Radius (r) is the distance from the center point of the circle to the edge. It is a straight line from the center to any point on the edge. The length of this line is one half of the diameter. The Area of the circle is all of the space inside the line. This is how much the circle covers. The radius and diameter are related to the circumference and area by a specific ratio – this constant is called Pi ( ). The value of Pi is approximately 3.14159… but the decimal values continue forever without ever repeating in a pattern. This behavior makes Pi an “irrational number”. The value of Pi is close to 22/7, but because Pi is irrational, there is no fraction that can completely represent the value of Pi. To calculate the circumference of a circle, you need to know either the diameter or the radius. Simply multiply the diameter by the ratio Pi (or multiply the radius by 2 and then by Pi). To calculate the area of a circle, you also must know either the diameter or the radius. Multiply the radius (or divide the diameter by 2 to get the radius) by itself, then by Pi. A sphere is like a circle, it also includes all points of equal distance from a single point, but it is different because it is all of these point in all directions. 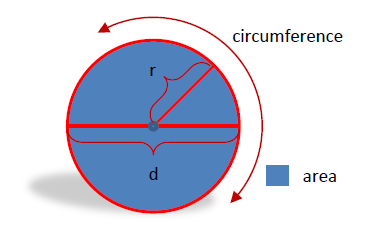 The radius and diameter properties still apply to the sphere(as long as they are straight lines through or from the center) and so does the circumference (if all points on this line around the circle are on the same plane), but the sphere has special properties of its own that don’t apply to a circle. 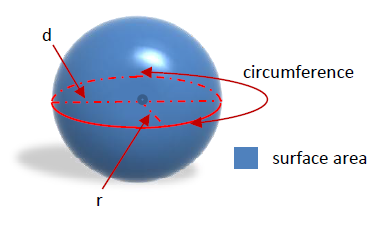 The Surface Area of a sphere is the outside of the sphere. Basically, it is everything you can see. The Volume of a sphere is how much room the sphere occupies, or how much space it takes up. To calculate the surface area of a sphere, you need to know either the diameter or the radius. Multiply by the radius (or divide the diameter by 2 to get the radius) by itself, then by Pi, and then multiply it all by 4. To calculate the volume of a sphere, you again must know either the diameter or the radius (very useful properties to know, right?). Multiply the radius (or divide the diameter by 2 to get the radius) by itself, then by itself again (the radius cubed), then by Pi, and then all of it by 4/3. 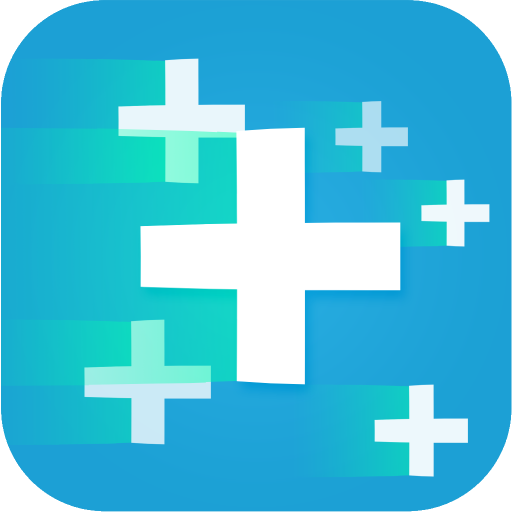 Now , go and draw some circles on a piece of paper, give them a radius or diameter, and see if you can practice solving the equations for circle and sphere properties!